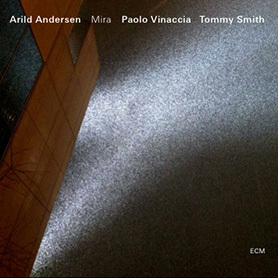 Arild Andersen started already in early the 70-ties to experiment with electronics attached to his pickup systems. Working with Paul Bley got him into some pedals and the possibility of expanding the acoustic sound. “Electro Harmonix 16 seconds Digital Delay”. This unit became the tool for people like Brian Eno and John Hassel, both very early in developing live loops on stage. 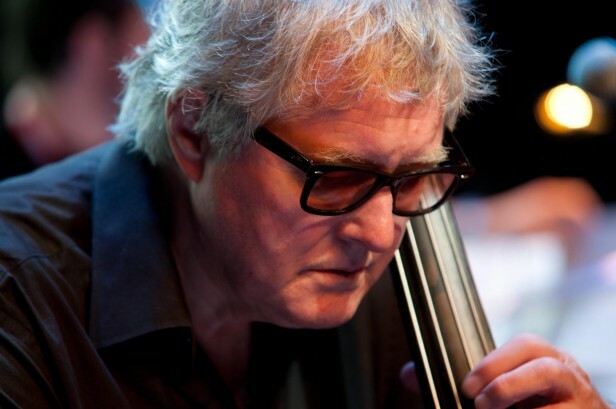 Arild Andersen was probably the first acoustic double bass player to use this unit. With his band “Masqualero” the music opened up for live looping and he can be heard on “ Vanilje”, “Bande A Part” ECM 1319 and “ Bålet “ “Aero “ ECM 1367 already back in the mid 80-ties looping the bass sound. In his solo concerts he uses his electronics close in relationship with the core of jazz, improvisation. Nothing is pre-recorded. Sometimes it sounds like a whole string orchestra. Sometimes just a spacey background for his solo playing. Even with electronics, the most significant in his solo concerts is the beauty of the sound of his acoustic bass. Arild Andersen’s solo concerts includes music from Ornette Coleman to Paul Simon, Norwegian folk music and of cause his own compositions.